The following items are purchasable from any 7Seas Gear Vendor. You can find these anywhere people have set up a 7Seas Fishing Area, or at the official 7Seas Headquarters (http://slurl.com/secondlife/Flotsam%20Beach/28/107/22). A fully featured fishing rod! Uses bait, earns XP and Levels! Never expires or needs bait! Give it a try for only L$1! Resized and reanimated for Tiny-Style Avatars! Only works with PRO rods! Just rez it, wear rod, then click bucket! Run your own fishing area! Keep 20% of all your Vendor’s sales! 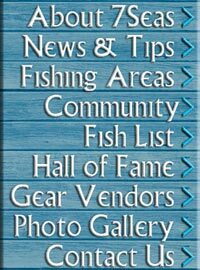 Hold fishing contests with free official trophies! 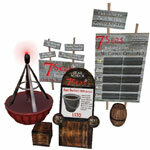 Also includes tons of extra decorations, including chairs, umbrellas, driftwood, etc. Acts as a mobile fishing server! Can participate in Team Fishing Challenges! Recolor, rename, and change the flag! Carnival style fun for 1-4 Players! Optionally playable with 7Seas Pets! All standard Insert Coin Arcade features, including ticket output! Works with all 7Seas Pets! Optional sand and castle decorations! 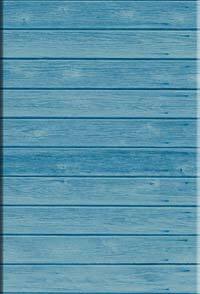 Backdrop, Sound, and Wood Panel options! Backdrop, Sound, and Silver/Black options! YOU decide exactly how large an area to cover, any rectangle/square to a max of 10x10x10m! Great for undersea schools of fish, or ponds/rivers!